Custom Fluidpower , Australia’s largest independently owned provider of hydraulic solutions, has relaunched its website with an all new fresh look and a user friendly mobile version. 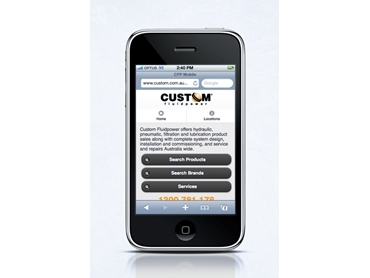 The mobile version of the website has been developed to enable Custom Fluidpower’s busy customers to access information about our products and services as quickly and easily as possible. The full version of the website has also been updated and relaunched. It offers extra information about services provided, as well as case studies, employment opportunities, and other resources. Visit the new website for further information about Custom Fluidpower’s agricultural services and products.